It is important you have a trustworthy company you can contact for pool maintenance. If you tend to this tedious yet difficult task yourself, you are putting yourself at risk of damaging your backyard oasis and possibly injuring yourself. Additionally, if you choose the wrong company and they do a poor job, you and your family face the threat of getting sick every time you go for a swim. Luckily, Triangle Pool offers top quality services at an affordable price. Our knowledgeable, specially trained staff can do it all. If you live in Pinellas County, let us handle the upkeep of your pool so you can sit back, relax, and enjoy it! It goes without saying that none of these are issues you would like to encounter. Fortunately, with proper maintenance, you can stay healhty while also getting full use of your backyard lagoon. Don’t leave something like this up to chance- give Triangle Pool a call today. None of these are jobs that someone without proper training should attempt to complete on their own. It may seem like a good way to save money, but trying to clean your pool on your own could just make it dirtier, which will cost you much more in the end. If you call Triangle Pool, you can trust that we are treating your pool and your property with the utmost care and respect. Our specially trained technicians know how to take care of any issue your pool might be causing you, whether that is a broken pump or a chemical imbalance. We can also perform regular tests on your pool water to make sure its chlorination and pH level are right where they should be. These are both often culprits of dirty or unsanitary pools that only qualified professionals should take on. We also know the many different types of pool maintenance that each Pinellas County home may require. You’ll never know what kind of behind-the-scenes problems your pool may have until you give us a call! If you live in the Pinellas County area, you probably know all too well that hurricanes and storms can make a pool dirty and dangerous. Floating branches and other foliage are things you hate to see in what is supposed to be your beautiful, pristine water. 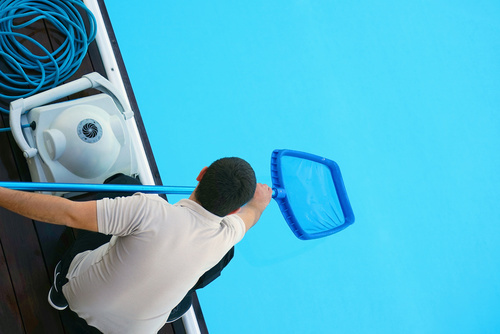 With hurricane season rapidly approaching, it’s imperative you know which pool maintenance company you can trust with your home and your property. At Triangle Pool, we work with only the finest tools and technology. All our work is performed by our own qualified and certified technicians, not contractors. This guarantees that your pool will be under expert care. Our Pinellas County pool maintenance company holds its professionals to the highest standard of respect and courtesy. You will not be getting a disgruntled or distracted employee, but rather a focused and friendly technician. We value our customers and their needs above all else. We will never suggest a service that is more expensive or complicated than your situation calls for, nor will we cut corners on the quality of our service. Call us today at (727) 531-0473 so you can get as much out of your pool as possible! From St. Petersburg to Palm Harbor and everything in between, we have you covered.